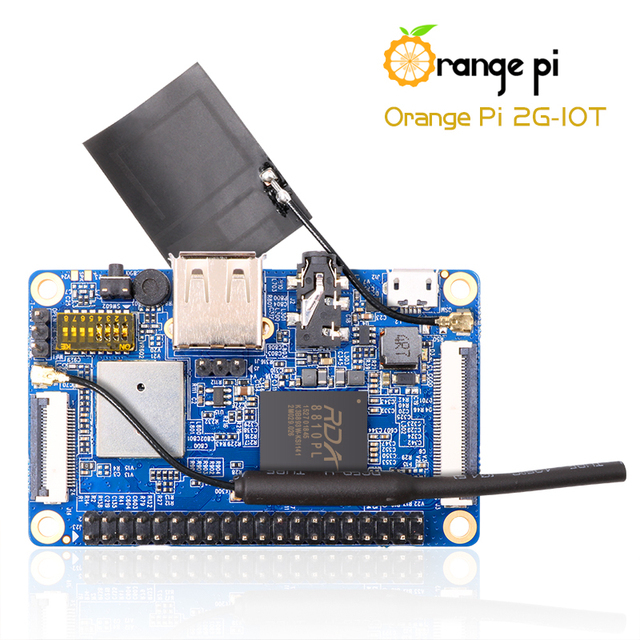 This product is available at Aliexpress, FastTech, Ebay, Banggood, Amazon.com. 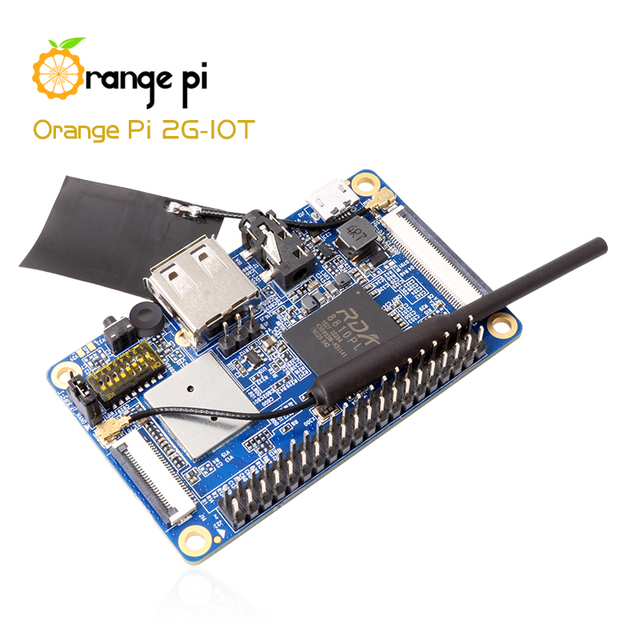 At aliexpress.com you can purchase Orange Pi 2G-IOT ARM Cortex-A5 32bit Bluetooth, Support ubuntu linux and android mini PC Beyond Raspberry Pi 2 for only $9.90, which is 48% less than the cost in Banggood ($19.17). 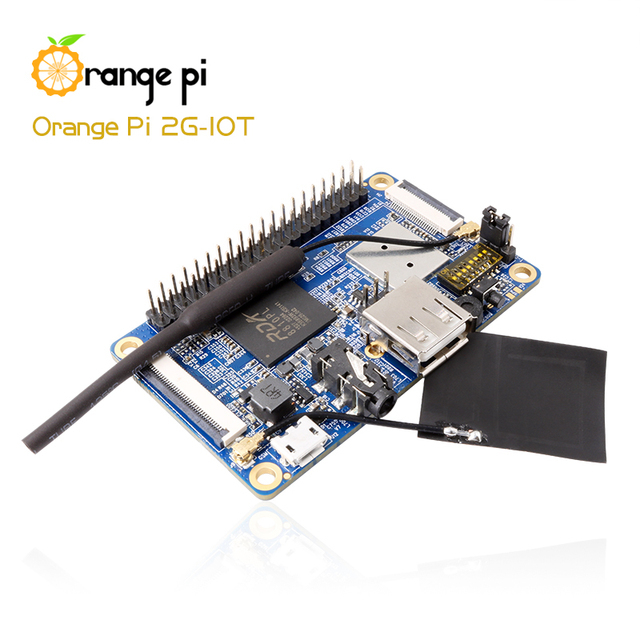 The lowest price of Orange Pi 2G-IOT ARM Cortex-A5 32bit Development Board Integrated 256MB LPDDR2 SDRAM Mini PC was obtained on 16 March 2019 2 h 02 min. 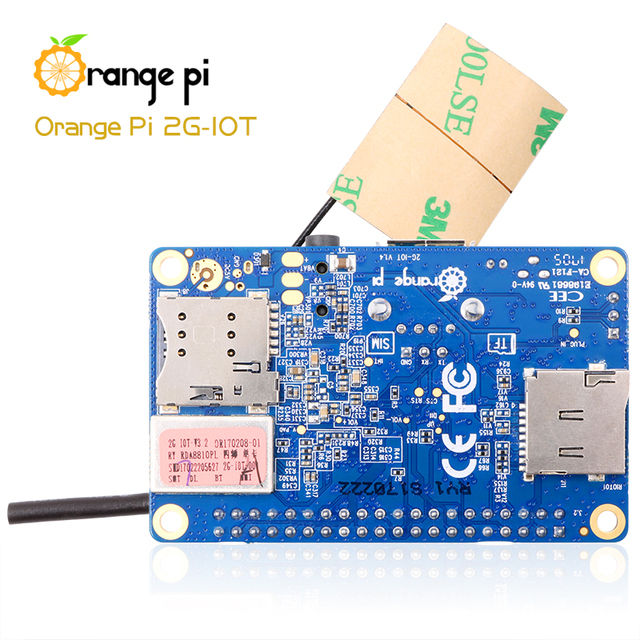 The Orange Pi 2G-IOT has been designed to develop applications that can communicate via a mobile phone network. If there is no WiFi coverage, you can continue to communicate with the device via GSM. Only flat, this first card only supports 2G. This standard is being abandoned in many countries. You can use the Mobile World Wide site to check availability in your country. An unofficial Armbian 5.27 image is available here. 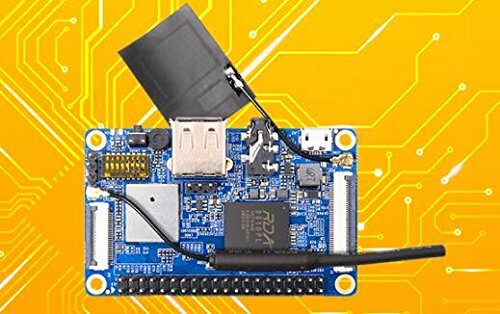 You will also find a toolbox (Toolschain) containing drivers, installation and configuration tools, and flashing the OS on NAND memory. Warning. The subscription of a package including data communications is necessary. Check the availability of 2G network in your country. 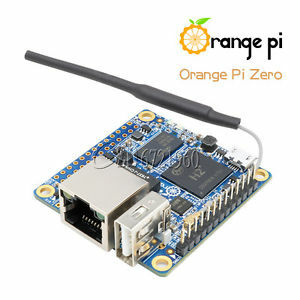 Module 2G GSM / GPRS / EDGE. Requires a SIM card and a compatible subscription. Driver unknown.